Can you afford your dream retirement? And that’s the big unknown because none of us knows exactly how long we will live. Today’s 65-year-olds can expect to live to an average age of 84.6 years for men and 87.3 for women, or roughly 20 and 22 years respectively in retirement. That’s a long time, and it’s only an average. Half will live longer than that. The challenge is to ensure your cash lasts the distance, however long that may be. A good way to begin thinking about your retirement needs and working out a budget is to visit the ASFA Retirement Standard, where you will find detailed budgets for different households and living standards. The ASFA Retirement Standard calculates that singles aged around 65 would need $27,425 a year to live a modest lifestyle while couples would need $39,442. A comfortable lifestyle would cost $42,953 for singles and $60,604 for couples. To put this in perspective, the full age pension is currently $23,823.80 a year for singles and $35,916.40 for couples. As you can see, this does not stretch to ASFA’s modest budget, let alone a comfortable lifestyle, especially for pensioners who are paying rent or still paying off a mortgage. Of course, everyone’s needs will be different. Some people may need to spend more on their health, while a contented gardener and homebody may need less money than a keen global traveller with a season ticket to opera, theatre or football. Most people go through three phases of retirement. The active years. In your 60s and 70s, you finally have the flexibility to travel, spend time with the grandkids and pursue other interests. Expenditure is likely to be high, especially if overseas travel is high on your bucket list. You may also want to help your adult children financially. Slowing down. At some point, the joints get a little creaky, your mobility and activity decline as does your spending. Travel is closer to home, you may do some voluntary work and begin to live a little more frugally. Spending on health may increase and many will consider downsizing their home. The frail years. Most of us hope to remain in our own homes, but many will spend our final years in residential aged care. This may be due to increased frailty, a sudden medical event or cognitive decline. Whatever the reason, spending on health and aged care are likely to increase significantly. While government subsidies may reduce the out-of-pocket costs, having savings will increase your options and access to high-quality care at home or an aged care facility. 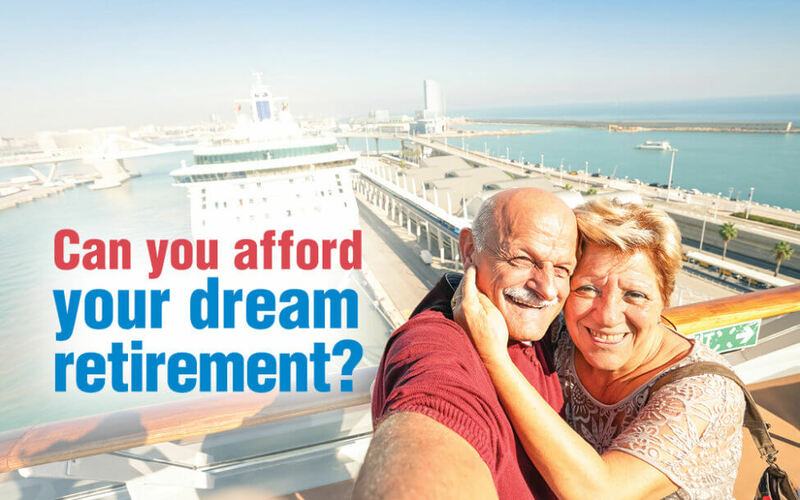 If you would like help to make your retirement dream a reality, give Acorn Financial Services a call.